Tomorrow, another semester will start. Whew, I had a bit of vacation and I really hope I have recuperated enough from last semester’s tasks. As always, I have a dual role, as a teacher and as a student. Its been exhausting and exasperating, but at the same time, it is worth it. I’ve been browsing online and saw that it’s actually Marie Curie‘s 144th Birthday. She is one great woman. Which brings me to the thought of teaching women. In the Fine Arts Department, I do have a few male students (two, actually). Personally, I never imagined myself going to an exclusive school. I went to a co-educational school all my life. But hearing the explanation about the thrust of the school, especially on prioritizing the education of women, I do get their point. After a semester of witnessing how my students relate to each other, I also saw what was missing in co-educational schools. In a way, these women are freer in their actuations and in support of each other. It’s always a different story from the inside, as always. Every semester of Art Appreciation is different for me. I try to adjust to my students’ capacity and interest, as well as to what is happening in the world. This semester, I will also be teaching Art History in the Philippines and Asia. Its exciting, but it’s so broad that choosing the topics to cover is very challenging. Hopefully, we’ll be learning from each other. 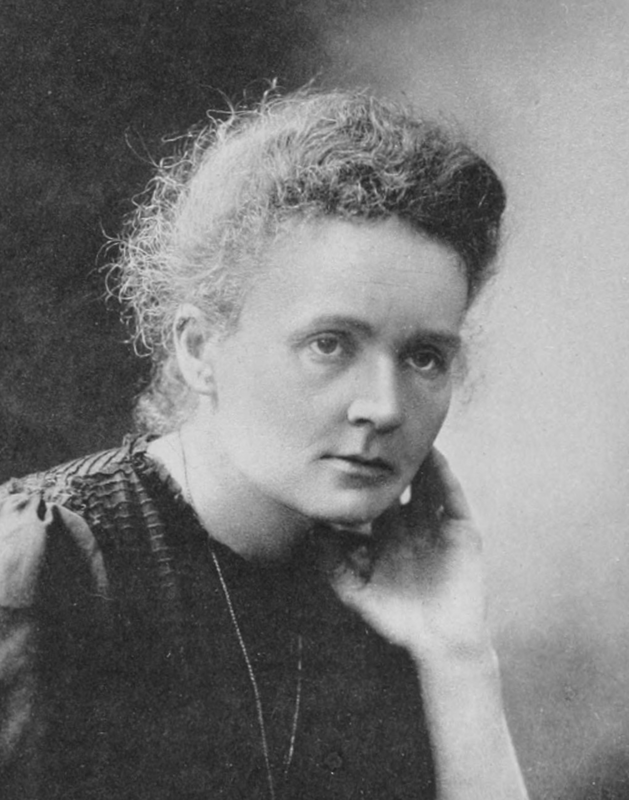 Just like Marie Curie, I hope all women will strive for excellence. Despite all the constraint she had during her time, she still excelled. I can hope no more than that for my students. Being a woman in a patriarchal society is challenging and complicated, but it should not be a bar in doing the best that we can. I prefer posting art-related topics, papers and lessons on this site. But upon reflection, it is also beneficial to share my reflections on these topics, even on an informal manner. We’ll see how it goes. Either way, I feel like this will be an exciting semester. I am on my last leg of course work in my graduate studies and will be working on my thesis proposal, as well as teaching. Seeing Marie Curie online should be enough to inspire the beginning of this semester. This entry was posted on November 7, 2011 by Portia Placino in St. Scholastica's College and tagged Academic term, Art History Class, Education, Google, Marie Curie, Nobel Prize, Philippines, Pierre Curie, Reflections.